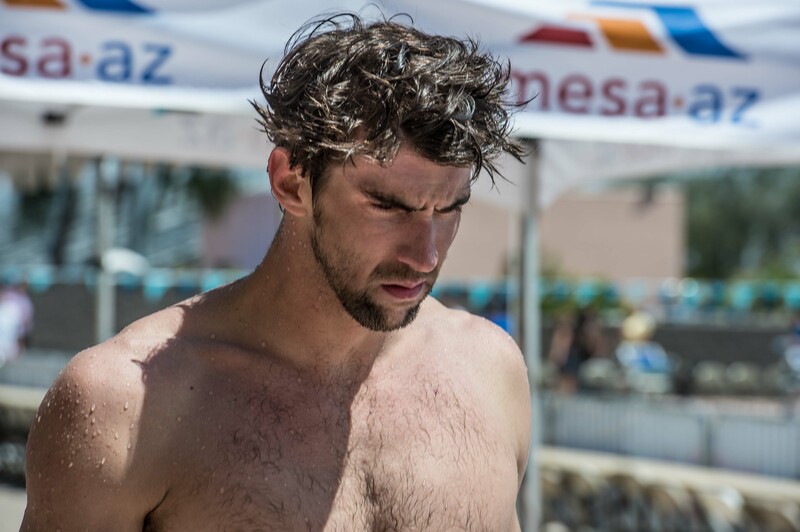 Everybody inside and outside of the swimming world will have probably heard of Michael Phelps’ latest DUI problem. I’m not going to talk about that other than point out that Phelps is just another example of a star who is also a flawed human. And now, a dangerously flawed one. This raises the whole issue of stars and role models. There’s nothing wrong in admiring the stars. They are the ones who in order to excel have often had to work extraordinarily hard to get there. They’ve need an unstoppable drive to succeed in the face of the inevitable setbacks. And in their superlative feats we can see the potential within us all – that with dedication and perseverance we can all achieve something to be proud of. Our stars can be the shining beacons that push us to try harder when we want to quit. And this is a very good thing. But there is a downside to stardom that we often ignore. In the drive to succeed, most stars or wannabe-stars become truly self centered, or even selfish. They have no time for those who can’t help them in their goals. Anybody who lectures or points out inappropriate behaviour is often pushed aside, to be replaced by enablers who are ready to fulfill the star’s every desire. And that’s when the real problems start. We all need people who will tell us ‘NO” when we really need to hear it. Many stars no longer have those people around them. Apparently Phelps didn’t a few days ago. At some point, the normal rules don’t apply to stars. Although to be fair, you can’t throw unlimited money, fame and adulation at somebody and expect them to stay normal. Look at Michael Jackson, who went from a child star, to a superstar, to a disturbing caricature of himself. Or Lance Armstrong, who cheated and killed the careers of anybody who stood in his way. Tiger Woods who cheated on his wife with so many women. Steven Jobs who was unquestionably brilliant in his own way, but a complete jerk to those around him. Or any of the countless rock stars, movie stars, models, sports stars, politicians and others with destructive and selfish habits. And yet somehow, they all still have their legion of fans. This is the problem. Our stars have somehow become our role models, simply because we can’t separate the two concepts. And the irony is that in order to achieve their success, our stars often have the very same personal traits that we would hate to see in our ourselves or our friends. At the other extreme, role models are the people whose lives we should try to emulate. Ideally, they’ve achieved a true balance in life, achieving some measure of success while being an asset to their community, friends and family. Some of the most inspiring role models to me are the ones who have to struggle just to do what we take for granted, and yet they do it with grace and a helpful attitude towards others. True role models are rarely stars. The sad part is that there is little we can do about this problem. We’ll always be appropriately fascinated with those who reached the top of any field, and especially any endeavour we personally embrace. But we should always remember that these stars are only human. They make mistakes, sometimes bad ones, and many stars would make horrible friends. We need to remember that stars are rarely worthy of being role models. As for Michael Phelps? He’ll most likely be held in some level of disgrace until he has another incredible swim, and makes us realize how amazing we humans can be when we put our minds to it. All will then be forgiven, until the next time he shows his flaws. Next Post What is a Swim Team? Hi Rick I read your article and this statement “Phelps is just another example of a star who is also a flawed human” caught my attention. May I ask you to define “flawed human “. You also referred to other individuals in your article, I would like to know how you arrived at your analysis. Hi Luther, Thanks for your comment. The point of this post is to get to the heart of the issue of star versus role model. To be human is to be flawed, and it should be clear that everybody makes bad decisions and have undesirable traits. Yet all too often the flaws of our stars are hidden. We often think of them only in terms of their very visible star qualities, and don’t see or hear about other aspects of their life. In Phelps’ case, he has flaws that are now public and visible. That’s what I meant when I said he is a flawed human. As for the other individuals I mentioned, I didn’t have to analyze or interpret anything. Those individuals have had problems that have been documented and made very public. I could have gone on to mention dozens of other stars with documented serious flaws, but I didn’t think it was necessary. Was there any one particular individual who you felt I dealt with unfairly?